(Mentioning all places unpaid) What a great time! While I am sitting here and writing this blog post I only have three days left in Lisbon. I can’t believe how fast time went by – I lived here for five months and fell in love with this city on the very first day already. With my flight back an unforgettable time comes to an end – and one of the reasons for this were my incredible flatmates. 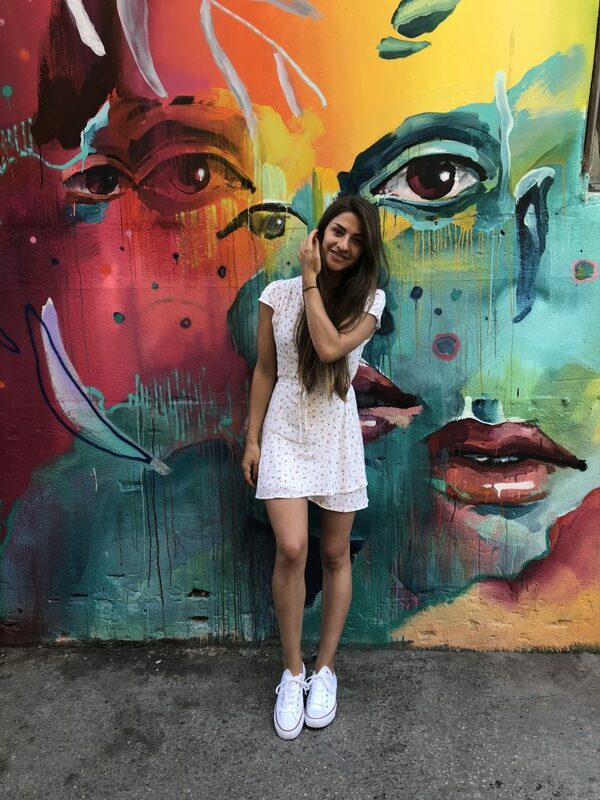 I study Business Administration at the University of Mannheim and my studies include a compulsory semester abroad in the third year – one of the reasons why I decided to study at this university. 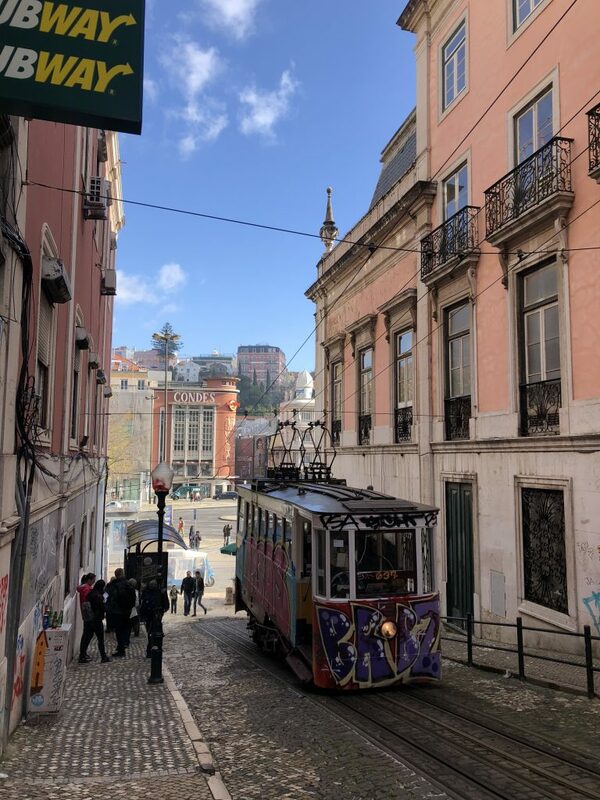 At the beginning of my studies I was convinced I would do my semester abroad in Canada – but somehow I changed my mind and decided to put Lisbon on the first place of my priority list. I don’t know exactly why, it was an intuitive decision but the warm climate definitely influenced my decision. Looking back, it was definitely the right decision – and if I had to choose again I would decide the same way. 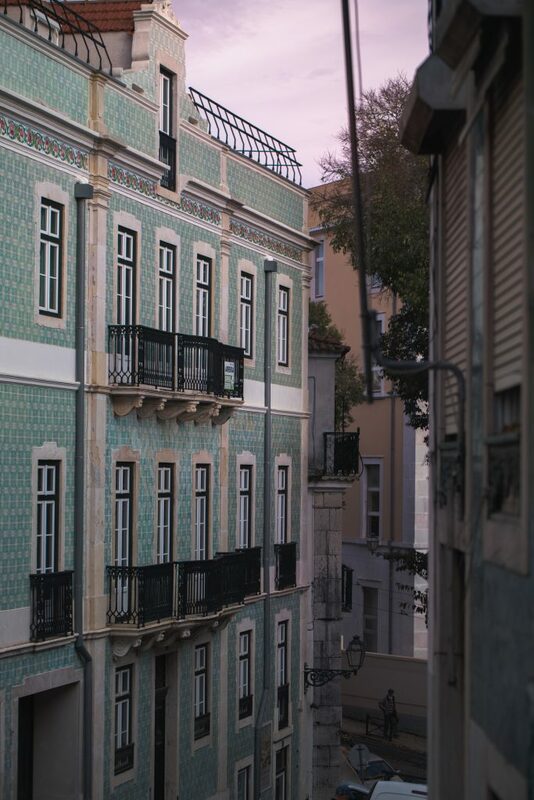 With around 500.000 inhabitants Lisbon is, compared to other capitals, a small city. 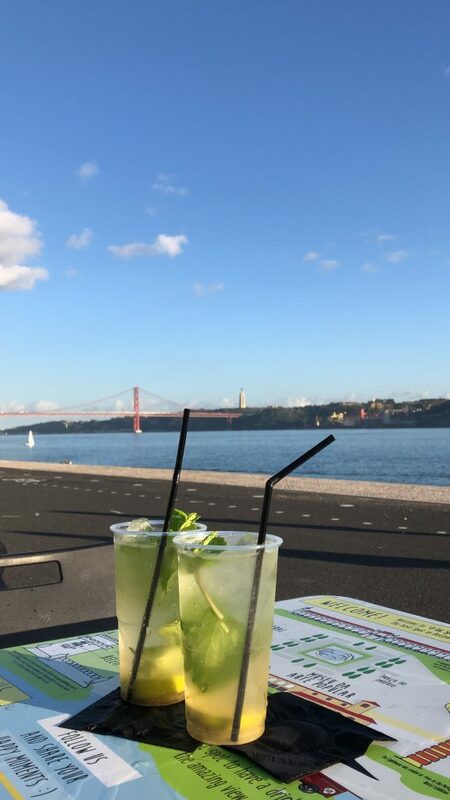 For everyone who wants to visit Lisbon: you can look forward to a beautiful city close to the water. One thing to keep in mind is definitely how many tourists there are in the summer – especially on the weekend. If you can choose a time to visit I would therefore recommend spring or autumn or visiting during the week. 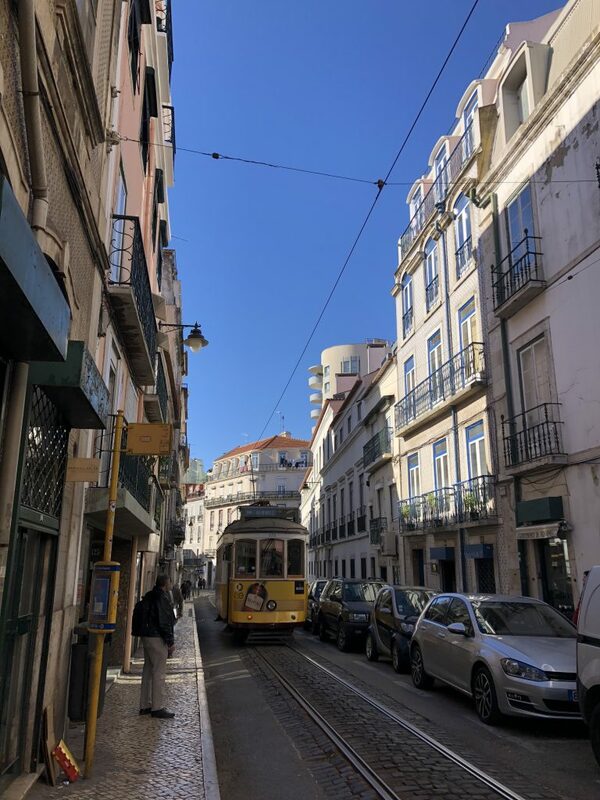 Usually I am not a big fan of the regular city tours but I still want to list a few places you should have a look at if you’re visiting Lisbon. 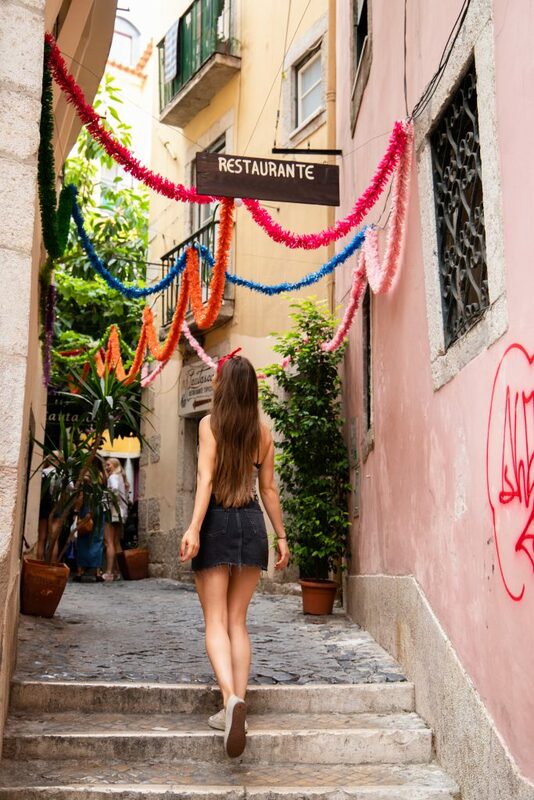 Alfama consists of many small streets and therefore is best to explore by foot – this way you also get to experience its flair. Castelo de São Jorge is also located in Alfama and although you have to pay an entrance fee you get to see on of the best views on the city as well as the castle. 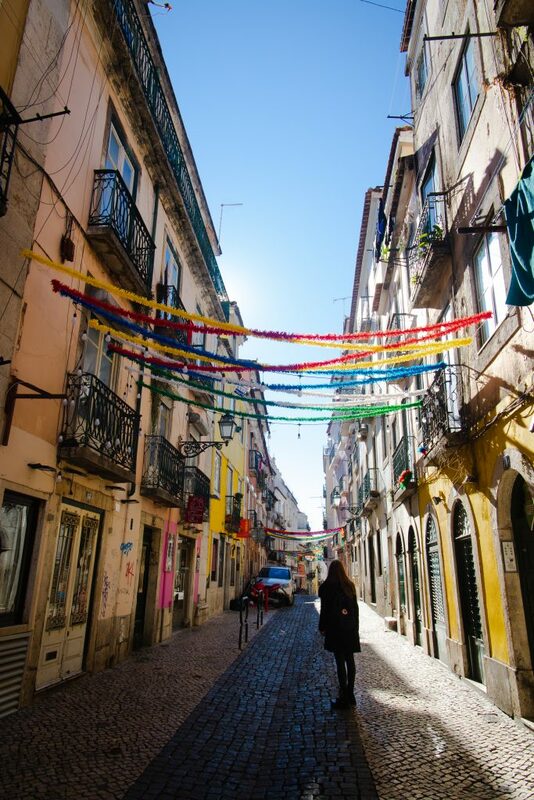 Taking a stroll through Alfama should definitely be on your To-Do-List for Lisbon. The so-called Miradouros are located all over the city – from there you get the best views and you should definitely visit some of them. I especially liked the Miradouro da Graça. It takes a short train-ride to get from the city center to Belém – here you can find many monuments which refer to the Portuguese as seafarer nation in the past – the Portuguese are very proud of this part of their history. You can see the Mosteiro dos Jeronimos, a monastery – from there across the street heading towards the water you will find the Padrao dos Descobrimentos, a monument referring to the time of exploration. You can take a stroll along the Tejo until you get to the Torre de Belém, it is a world cultural heritage of UNESCO and very famous. The LX Factory is an old industrial area where several small shops have found a home and every Sunday you can find a market there. It got more and more popular over the years but I can still recommend a visit. 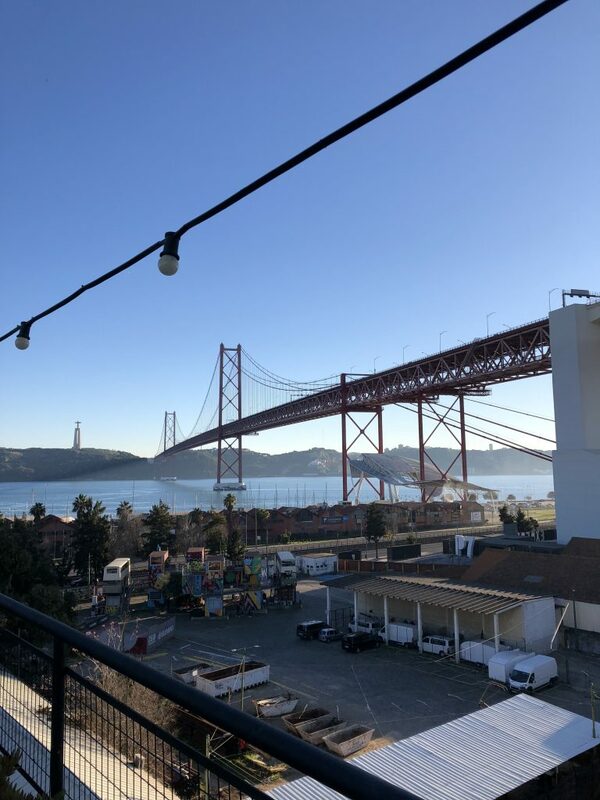 From the rooftop bar you get a great view on the Ponte 25 de abril, which reminds one strongly of the Golden Gate Bridge of San Francisco. 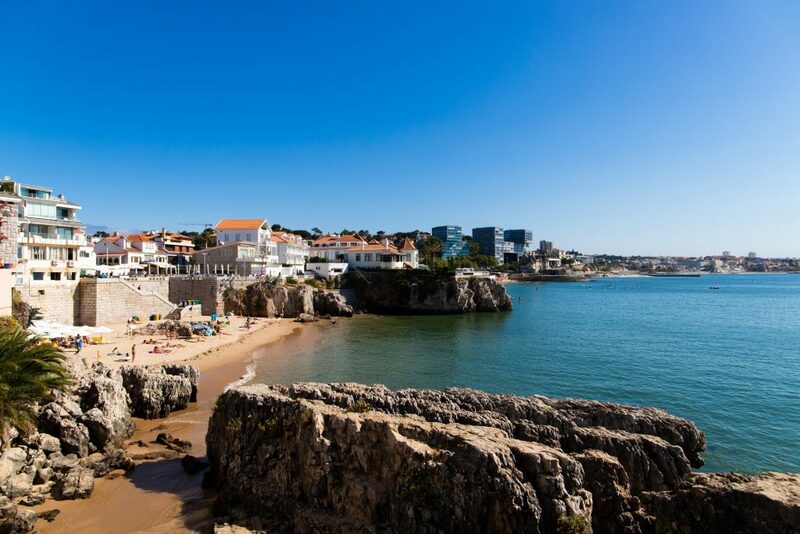 Cascais can be reached from Lisbon by train and is an area where the “rich people” of Lisbon live. It’s a beautiful little town and there is a small beach as well. 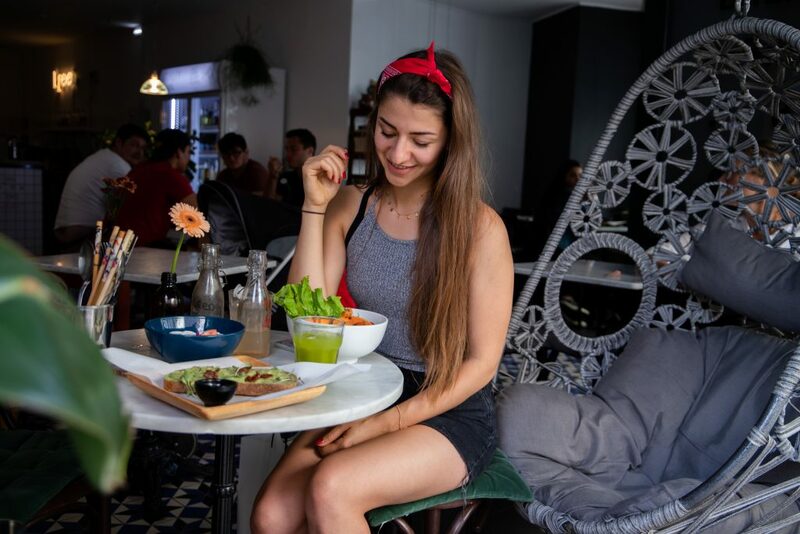 If you want to go for a drink or a meal, I can really recommend the „House of Wonders“ – a restaurant/ café which offers vegan food and a cute little rooftop to enjoy a coffee or fresh juice. If you take the train to Cascais you will eventually pass many stations where you have access to beaches. At some of them you can even go surfing (e.g. Carcavelos). 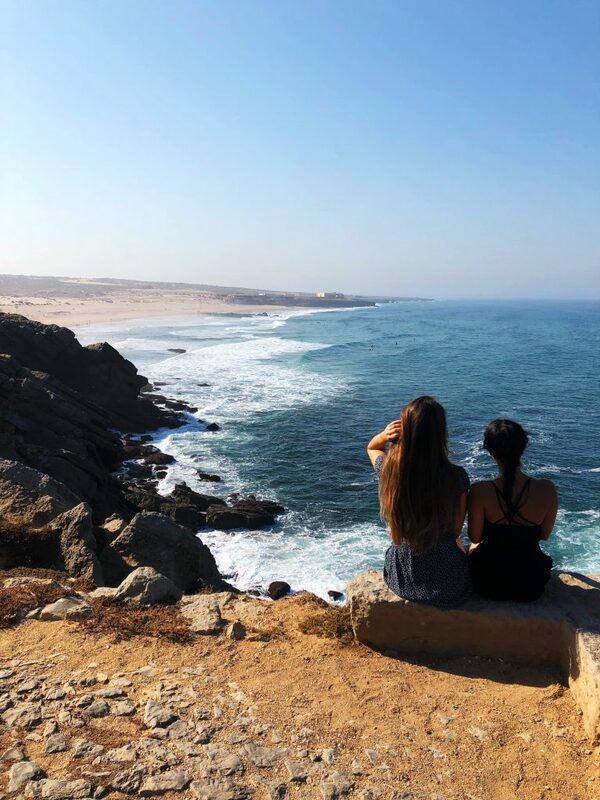 My absolute favorite beach however was Praia do Guincho – unfortunately it can only be reached by car but it’s definitely worth the visit. I also had my first surfing lesson there and I loved it! I can really recommend catching a sunset somewhere at the waterfront. Especially with the Ponte 25 de abril in the foreground it looks gorgeous. If you want to go and watch I would advice crossing the Praça do Comércio and walking along the Tejo towards the bridge a little bit. 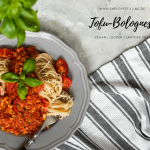 AO 26 – Vegan Food Project: My absolute FAVORITE! 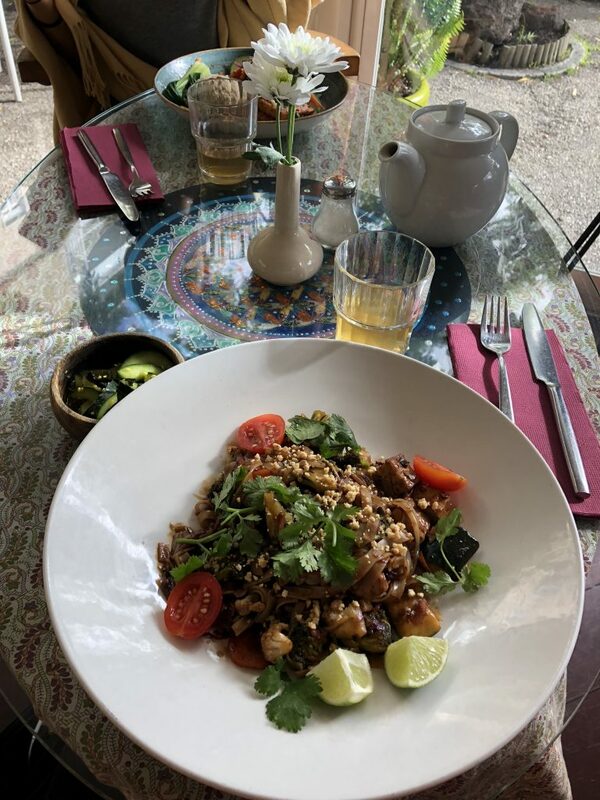 This restaurant is absolutely incredible – for just 9€ you get the lunch menu which includes a soup and one of the two daily changing main dishes. I don’t know who this genius is who is coming up with all the ideas but every meal I tried was special and super delicious – the same applies for the soups. 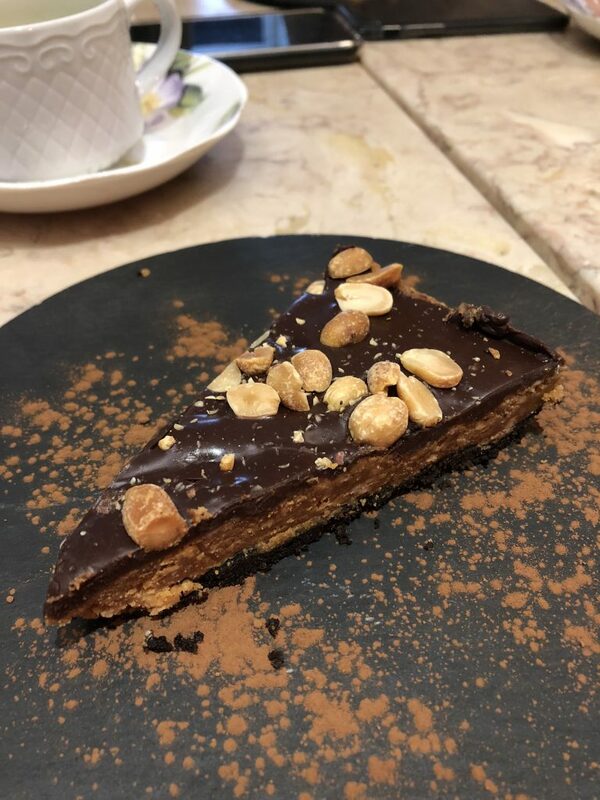 They also offer some amazing desserts such as an Oreo Peanut Butter Chocolate Cake or a chocolate mousse. You should either place a reservation or try to be there when they open at 12.30pm to avoid waiting for a table. 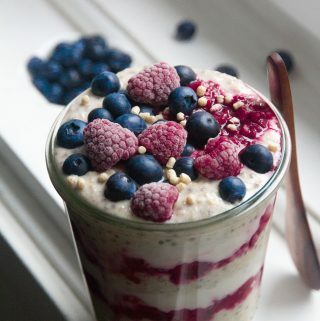 In the evening the have a different menu but it is amazing as well. 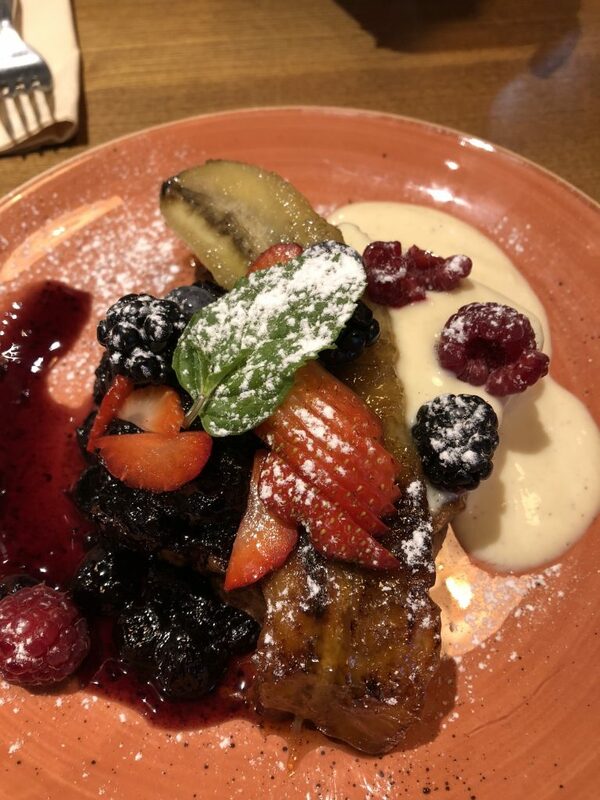 You can have everything your heart desires: from salad, to vegan cheese platters, risotto and burger – they have it all. 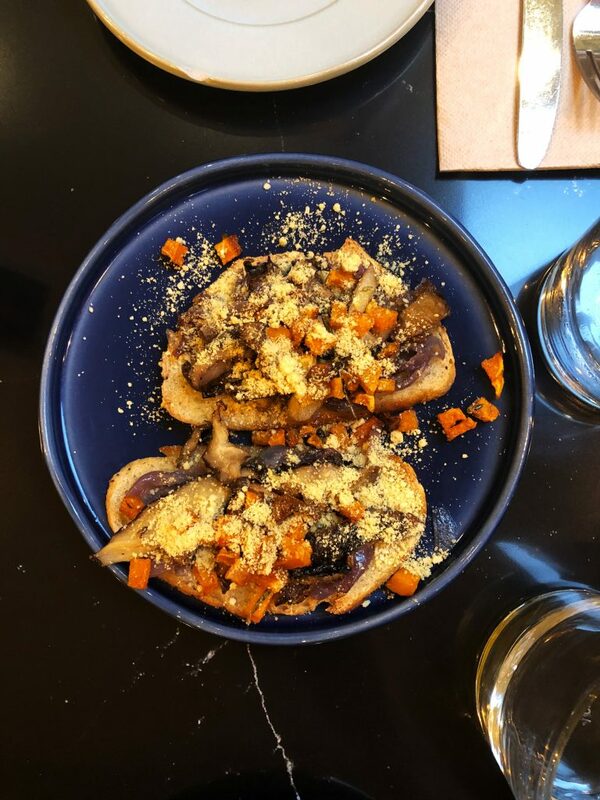 Zenith – Brunch & Cocktails: They have delicious drinks (I loved the Caramel Latte), the vegan banana bread is still warm and the Betroot Hummus Toast was a winner, too. 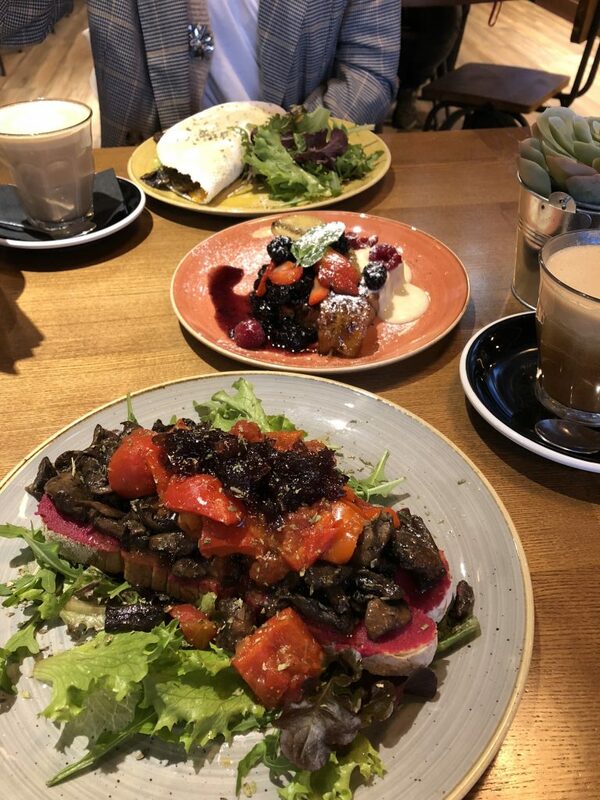 Eight | The Health Lounge: I loved the location of this place and the food as well (I can really recommend the Tundra Panini!). They even have a little shop with beautiful things. Zarzuela: if you want to try the famous „Pasteis de Nata“ you should come here for a vegan version. 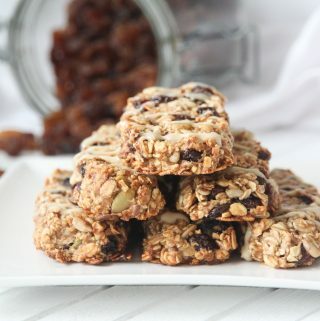 In addition, they offer many more treats without gluten and lactose. 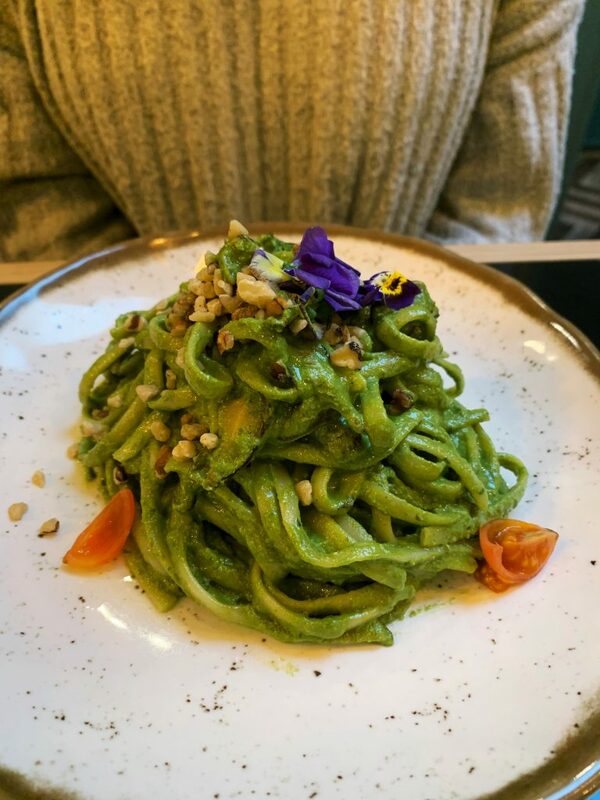 The Green Affair: a vegan restaurant in which you can eat a delicious meal for a fair price. I also loved the design and look of the restaurant. Bowlsbar Lisboa: you can go and grab a light lunch here (portion sizes are quite small, though). The location is pretty, though. ardim das Cerejas: the location is not very pretty but the food is amazing. They offer an all-you-can-eat buffet for lunch and dinner and it’s quite cheap. Definitely worth a visit! 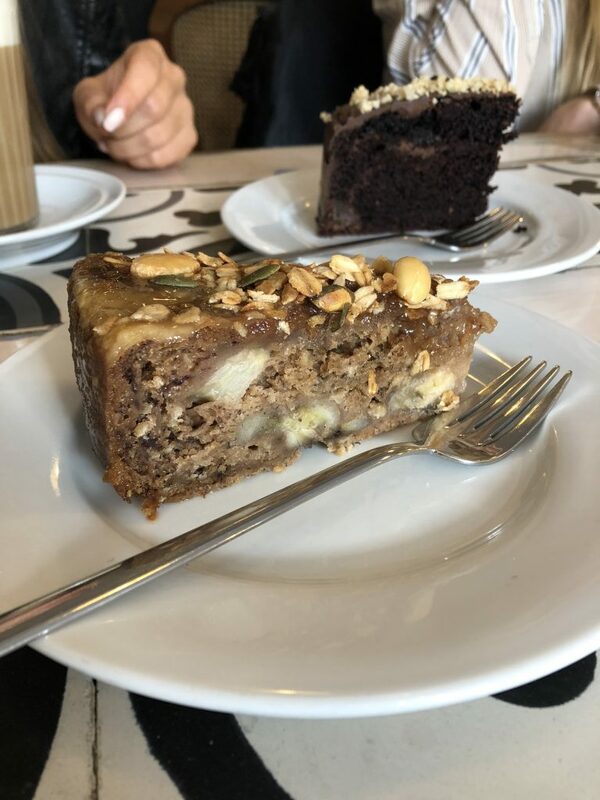 Foodprintz Café: a cute little Café close to Marques de Pombal. 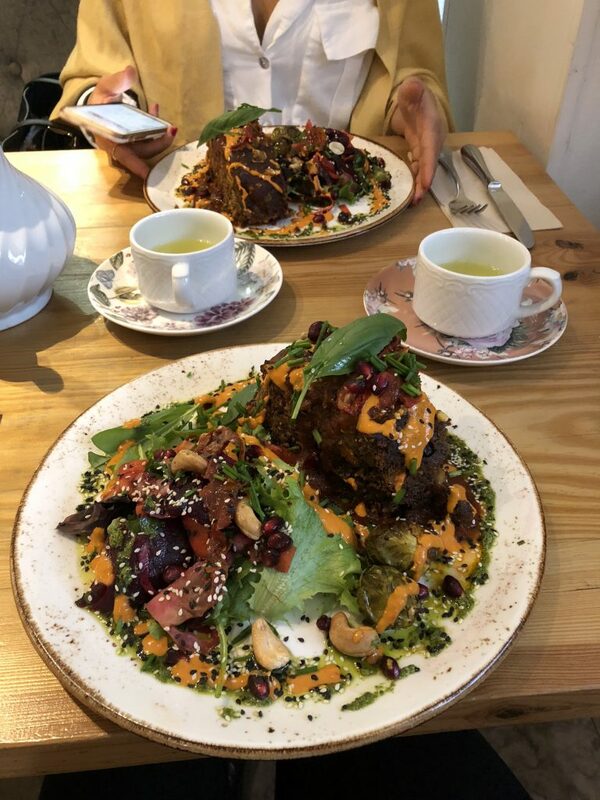 It’s 100% vegan and a visit of their instagram page can pay back since they sometimes announce special offers over there. 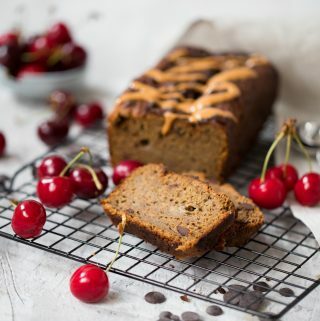 Eat Green: a small Café in Baxia offering vegan cake as well. Graça77: directly located at the Miradouro da Graça. They offer delicious vegan treats there! 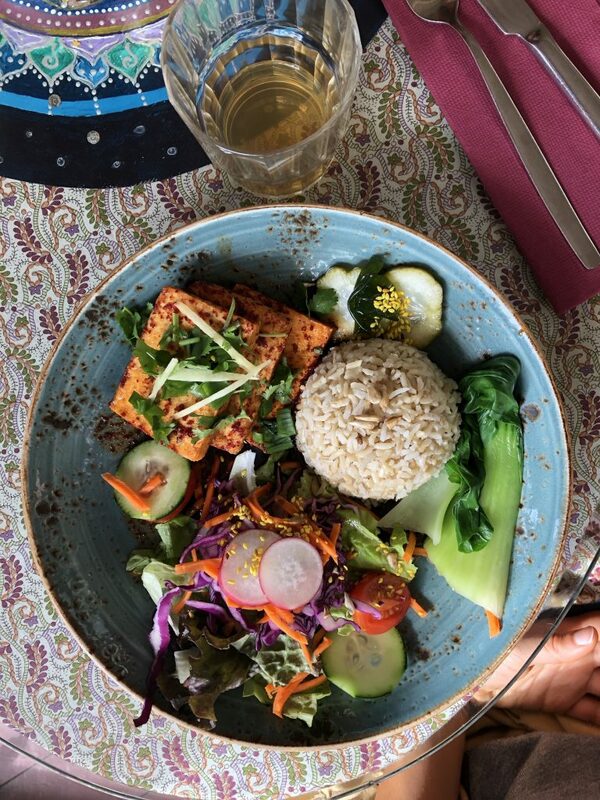 PSI Restaurant: a vegetarian restaurant which also offers a lot of vegan options. Worth a visit! 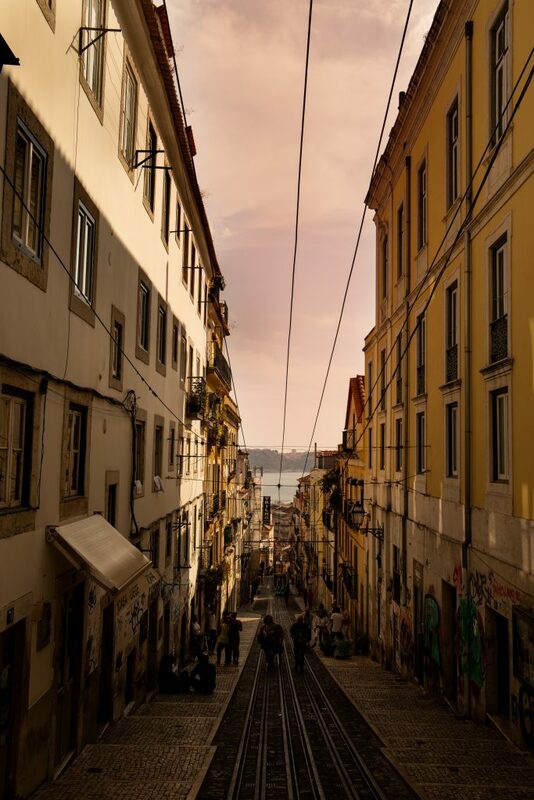 Bairro Alto: one of the older parts of the city and very alive at night. The streets are full with people and you can get very cheap drinks there. Jam Sessions: in Lisbon there are often Jam Sessions offered which you can join for free and I can recommend a visit. I especially like the jam sessions on Wednesday night at Anjos70 (you have to pay 2€ entry). Pink Street: another spot for drinks is the Pink Street – which is simply called that way because it is actually pink. 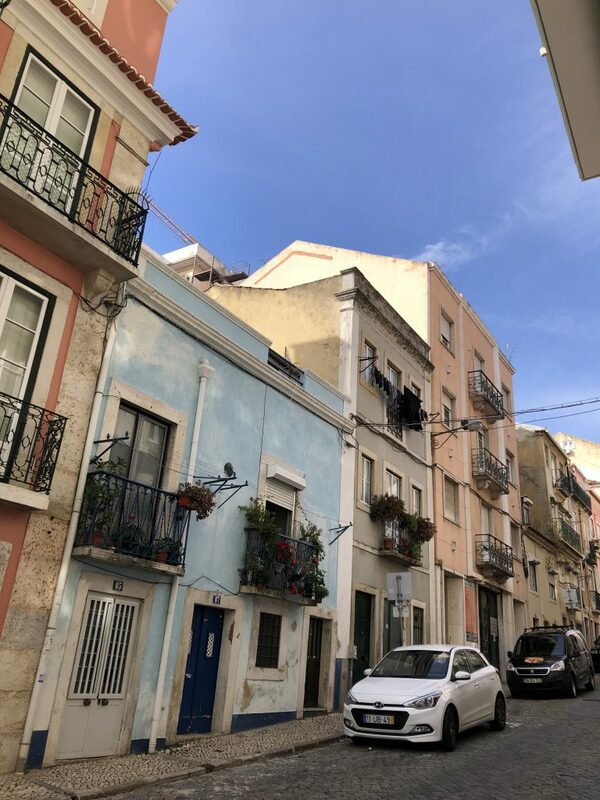 I prefer Bairro Alto though but I guess that is just a matter of taste. 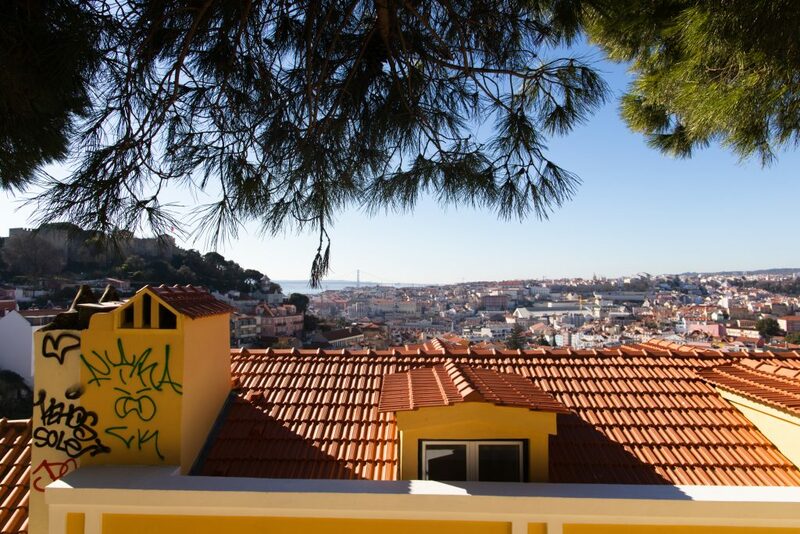 Rooftop Bars: in Lisbon you have the great opportunity to visit one of the many rooftio bars. I can really recommend the PARK (don’t get confused, to access to you literally have to go to the rooftop of a parking house) and The Garden. I also liked Topo. Clubs: everyone who wants to go out and party in Lisbon has to prep for a long night. The Portuguese like to go out very late, starting around 1.30am. There are many clubs in Lisbon, URBAN plays a lot of Reggaeton, in LUX you will find more Techno and Electro. Most of the time you have to pay an entry (except on special days with one of the ERASMUS-cards) of around 10-15€, but you often get the money back in drinks. I don’t want to write too much here but still want to recommend two stores I really liked. One is Ceramicist Na Linha – you can get beautiful handmade ceramics which sell by kilo price. Very unique and all foodies will love this place. The other shop is Green Beans – a fully vegan shop which offers everything, from shampoo to bamboo tooth brushes, shoes, t-shirts, bags and food. 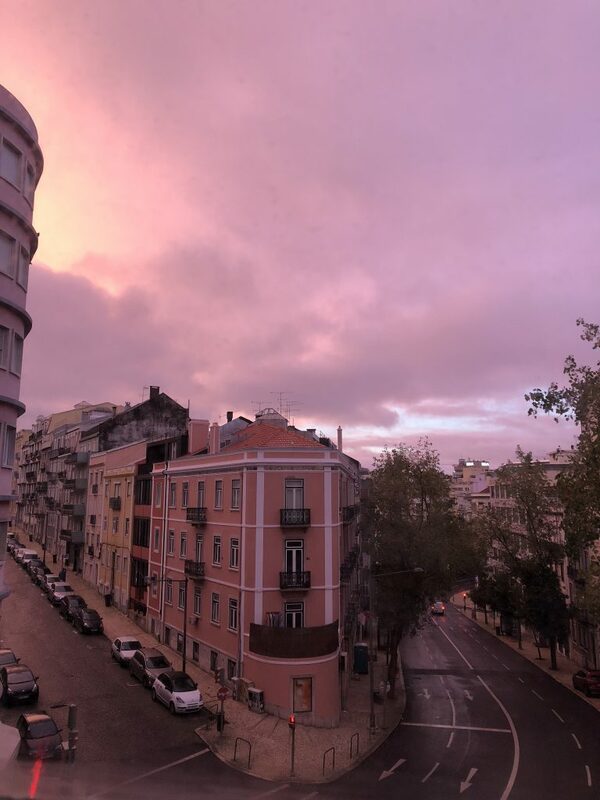 On Instagram I also got the question whether I have tips for yoga studios in Lisbon but unfortunately I have only visited one in total, the Hot Pot Yoga Lisboa which I really liked it. When I went there, they had the offer to try an unlimited amount of classes within seven days. 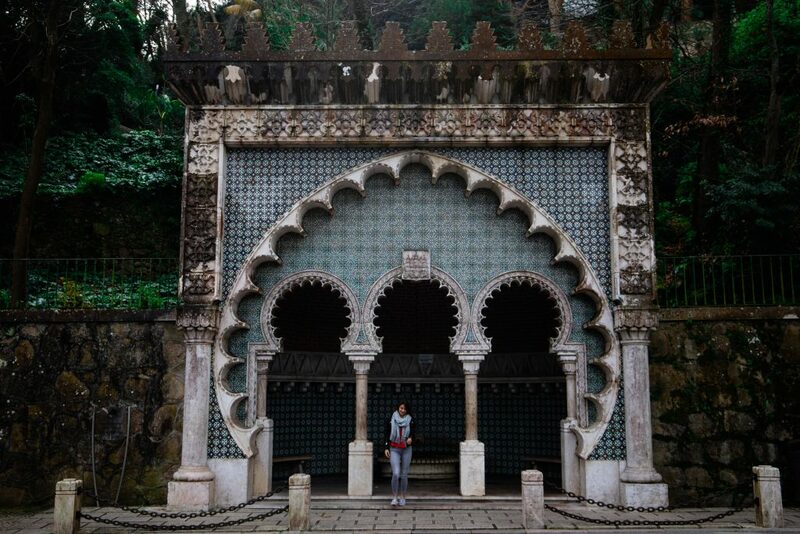 Sintra: a beautiful little town located about 40min train ride from Lisbon. You might want to take a day to explore the city and its surroundings. Algarve: Rental cars are quite affordable and within a 2 1/2 hour drive you can reach the Algarve, the south coast of Portugal. You’ll find beautiful beaches here e.g. 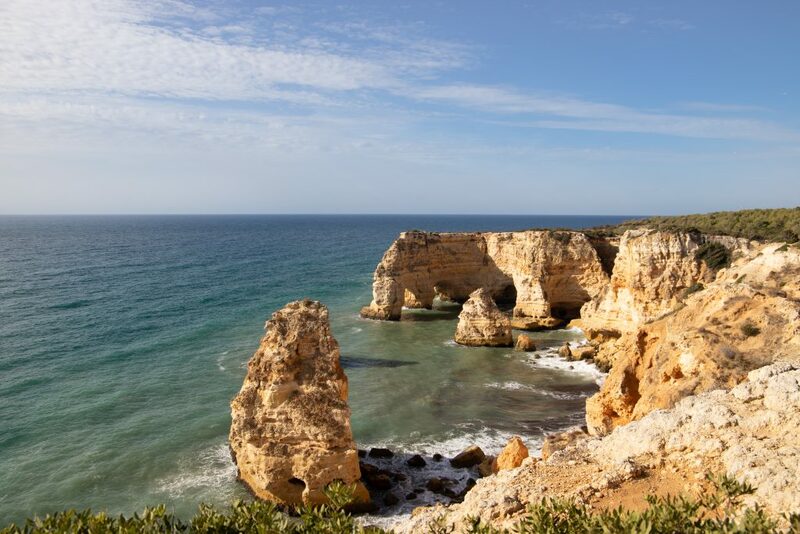 the Praia da Marinha and if you have the time a weekend roadtrip is a perfect little get-away from the town. 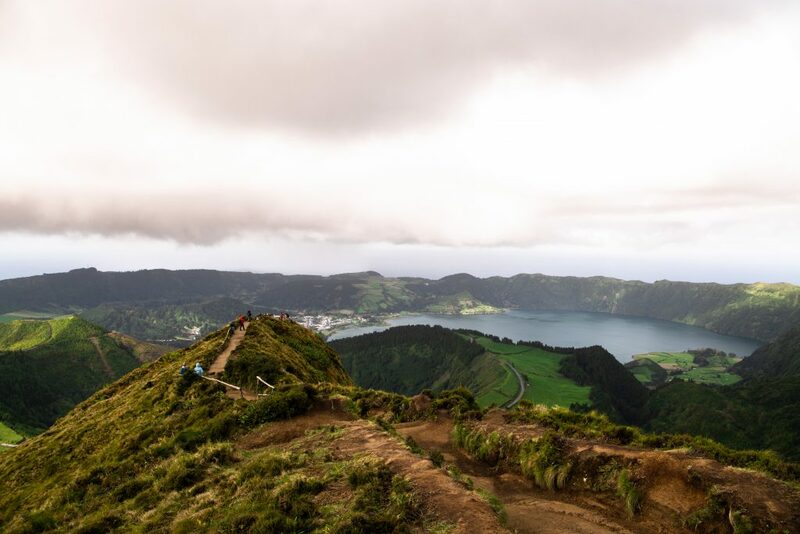 Azores: Flights from Lisbon to the Azores are usually quite cheap. I took a flight to Ponta Delgada on São Miguel on Thursday night and came back Monday. We rented an AirBnB there and a rental car and the island is like a small Hawaii. You will find natural thermal springs and beautiful views wherever you go. Three full days were the perfect time to explore the island. It’s very easy and convenient to move around Lisbon with public transportation. The Metro gets you almost everywhere and is very easy structured. There are four different lines (red, green, blue and yellow). You will find ticket machines in the metro stations. In the beginning you have to buy a reusable ticket card which you either load with a single ticket or a certain amount of money (called zapping). If you are in town for a few days I would recommend using the zapping function – this saves you queueing for a ticket every time and is cheaper as well. If you plan to be a student in Lisbon you can apply for the „Viva“ card – with that you will be able to buy a monthly ticket for about 28€ (in 2018/19). Besides metro you can also use the bus, trams or ferries with your card. The App „CityMapper“ is very useful to compare different alternatives and the times the pubic transportation leaves since there is no official app from the city. The metro stops running from 1am to 6am – during this time it is convenient to use Uber or Taxify, both is very cheap. If you want to do an exchange semester in Lisbon I can recommend getting one (or both) of the ERASMUS-cards (ESN and ELL). With the ELL you will get free entry to some clubs on special days and the ESN offers besides that 20kg free luggage for eight RyanAir flights + 15% discount on the flight price. I booked my room in shared flat through Uniplaces in exchange for some security. I personally had a great experience, I’ve read about some people who didn’t make a good experience with them though. How you want to do it is up to you. 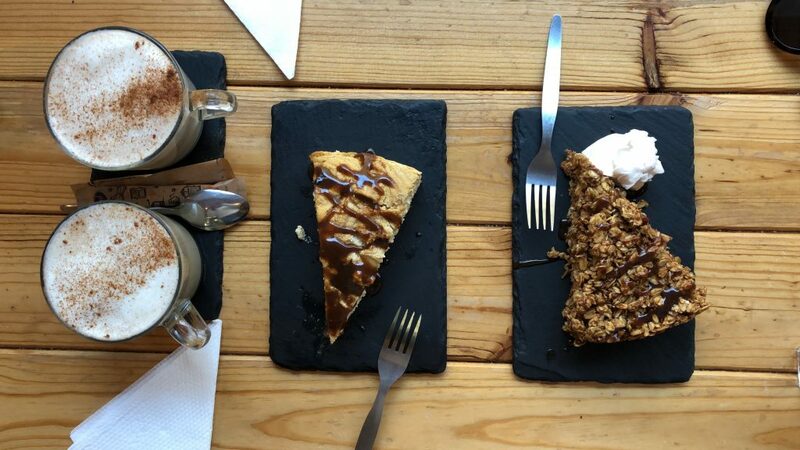 In general, everything is a little more laid back in Lisbon. It is likely that the landlord takes a long time to get back to you, that there is no rental contract or often no central heating as well. These are just some aspects you should keep in mind. I did my exchange semester at Cátolica. 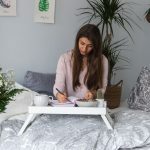 The life at the uni was very different from what I am used to at home – we had compulsory attendance (which we don’t have at my home university) which meant that I was at uni almost every day during the week. Besides that, the focus was less on the final exams and more on oral participation as well as a lot of group works. It was very exhausting sometimes but in exchange the final exam phase was an easy one compared to home. I also did a Portuguese Language Course Level A1 and I would always do it again because I love languages! 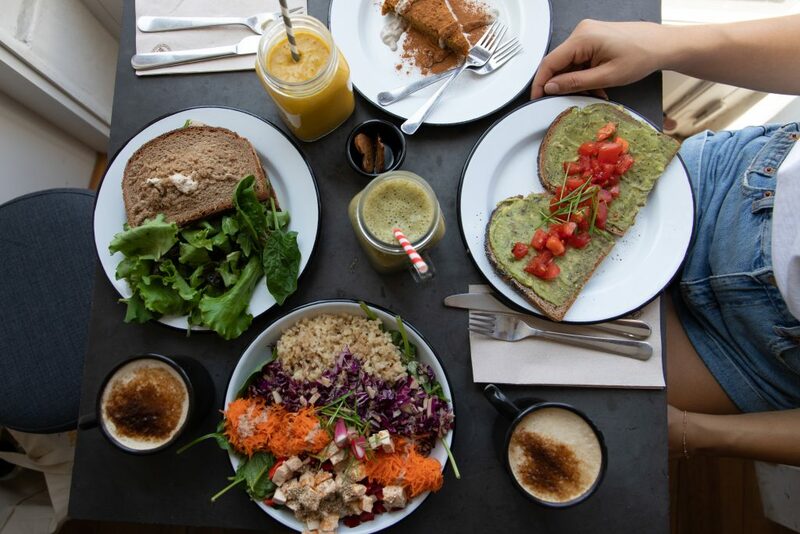 Whether for an exchange semester or a short trip – Lisbon is definitely worth a visit and also offers everything a vegan heart beats for. If I could decide again, I would definitely decide for Lisbon again and it wasn’t my last visit here for sure. The climate, the people, the vibes – it is an experience which stands for itself. I really hope this blog post was helpful to you. If you have any further questions don’t hesitate to ask in the comments so others can profit from the response as well. Of course you can also send an E-mail to me via info@sheloveseating.de. Toller Beitrag – Danke für die hilfreichen Tipps und den Einblick in dein Auslandssemester.